What is Non-Woven Bag Material? Non-woven materials are a class of fabric we produce in flat, continuous sheets, rather than formed of woven threads. Raincoats, surgical gowns, rubber gloves and plastic bags are all made of different sorts of non-woven materials. Recyclable, often made from recyclable materials, and with dozens of household uses, non-woven bags are more eco-friendly than many people realise. One bag made of non-woven material can replace dozens of flimsy plastic supermarket bags, which is good for the environment and saves on landfill. 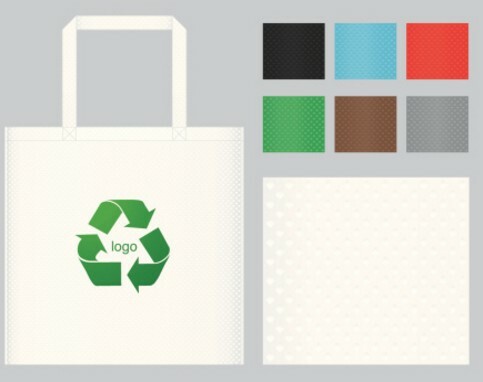 Durable, reusable and recyclable, non-woven bags are also inexpensive, colourful and easy to print. Planet Bags' non-woven bags make ideal containers for sample giveaways, leaving your customers with a colourful, reusable, waterproof bag that can be used for shopping or to fulfil other household needs. Giving these bags to your recipients helps to keep your brand visible for longer!